An audio recording has been released in a wrongful death lawsuit over the death of a man who was shot in court. The man, 25-year-old Siale Angilau, was facing racketeering charges in the U.S. District courthouse in Salt Lake City in April 2014. Another man, a former member of Salt Lake City’s Tongan Crip Gang, had been testifying for the prosecution about the gang's practices. Angilau began to charge the former gang member, leading a courthouse marshal to fire shots at him. 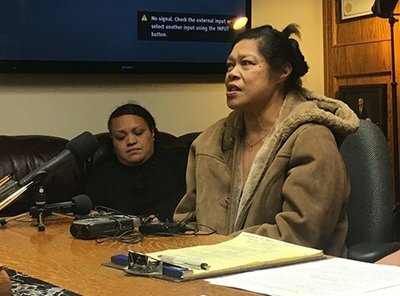 The audio recording will be used as evidence in a wrongful death lawsuit brought by Angilau's parents.